QuickTapSurvey is a software that allows users to capture data in-person and collect feedback online. The platform supports the creation of surveys within minutes and can gather information even without an internet connection. We compiled QuickTapSurvey user reviews from around the web and determined that it has generally positive ratings. We also shared its available pricing options. Users who gave QuickTapSurvey a positive review mentioned that they appreciate that the software makes it very easy for them to get respondents to participate, especially in person. 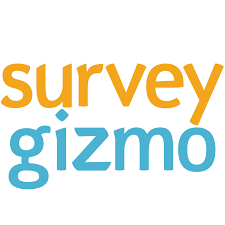 Some also mentioned that it is an efficient tool for creating surveys quickly and that it operates in many platforms, allowing them to reach more consumers. Users who gave QuickTapSurvey a negative review noted that additional licenses can be costly and that they hope prices would be more flexible to meet different types of customers. Some also cited that the software’s multiple features can be tedious to learn for users who are not tech-savvy. One user who gave QuickTapSurvey a positive review on GetApp said that her company has been using the software for many of their trade shows and found that respondents have always enjoyed the in-person experience. 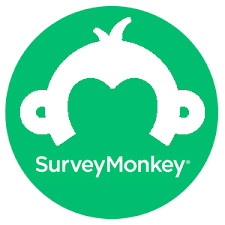 She added that the surveys are easy to build and that they work on different platforms, which allows them to generate more feedback both online and offline. One user who left a review of QuickTapSurvey on Capterra said that the many features of the software can be tricky to learn if the user is not techy. He also mentioned that adding licenses is expensive and suggested that prices should be more flexible to meet small business owners’ needs. QuickTapSurvey offers three paid subscription plans: Individual ($19/month), Pro ($49/month), and Premium ($99/month). Discounts are offered for annual subscriptions, and each paid plan includes one device license. Interested users can sign up for a free trial. Additional fees apply for extra devices. The main difference between the plans is the price per additional device. *Annual pricing is paid on lump sum per year. Users who want to add more devices to the subscription will have to pay an additional $9 per device for the Individual plan, $19 for Pro, and $29 for Premium. If payment will be made annually, a discount is applied — reducing the per-device fees to $7.65 for Individual, $16.15 for Pro, and $24.65 for Premium. For users who need to register 25 or more devices, you may contact their customer support team for Enterprise pricing details. 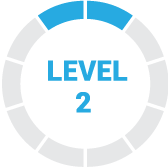 The free trial offers access to all features, but it is limited to 30 days, one device license, and 10 test responses on every survey. Users who need more time to decide may contact customer support for an extension on the trial period. A device license allows users to link a single mobile device, either a phone or a tablet, with the QuickTapSurvey platform. Responses can be collected even without a device license. However, users will not be able to access the gathered information without purchasing a license first. Are users bound to a contract with QuickTapSurvey? No. QuickTapSurvey has no contracts and will not collect cancellation fees. Users may cancel anytime they want. This video provides an overall background on what QuickTapSurvey can do to help businesses gather significant customer feedback and increase their sales. Not sure if QuickTapSurvey is the right fit for you? Read our reviews of all top survey software providers or check out one of these three QuickTapSurvey competitors. The tool itself is very powerful and easy to use. I stumbled across the app whilst developing my own in-house solution. The minute I found it – it was clearly the answer I had been looking for. I did compare it to a few other solutions but I am not exaggerating when I say that QuickTapSurvey is in a league of its own! The free trial programme also gave me the time I needed to demonstrate the power of the tool to my colleagues before having to justify any investment. Every tool has limitations but it was great to work directly with one of the QTS team and just have a really transparent approach to understanding their technology. I was really amazed that not only was my feedback important but we actually made some vital changes to the app as a result of our conversations – I couldn’t believe how receptive they were. In some cases the tool is doing exactly what is designed for – replacing old forms for modern ways. We get the benefits of keeping everybody on the same version automatically, we get consistent responses from all users and convert our forms to a PDF at the click of a button – huge efficiency gain! Aside form that we do some more exotic things with the data that comes from our survey responses and these are really changing our businesses approach to lead generation.